I have been running August Moon Tea for 11 months. 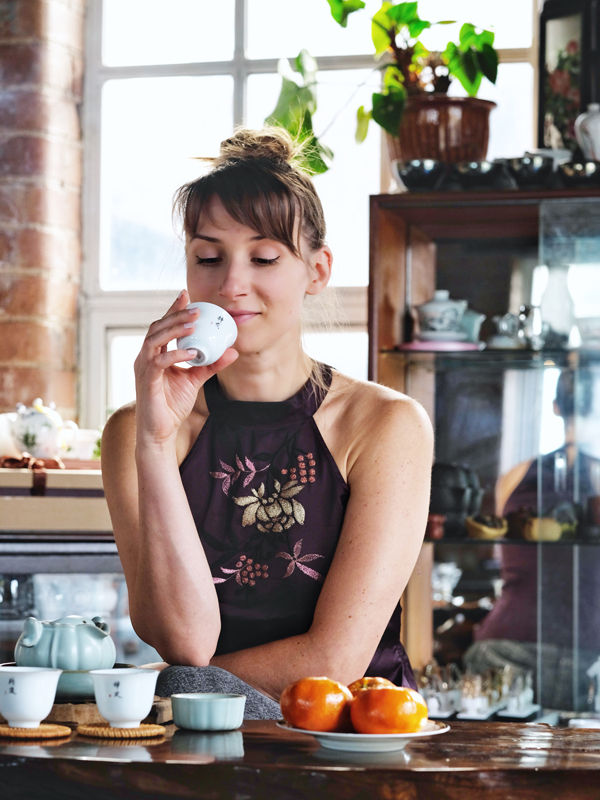 So many people have asked me the same question: what are the health benefits of tea? Of course, I have answered many times patiently according to my knowledge of tea. But just recently, I realized I had made a big mistake because tea isn’t just about what health benefits it has. It has deeper meanings I should share with people. Having tea in our way isn’t just dipping a tea bag in a mug. Instead, it requires a lot of skills, knowledge. It requires the tea maker to practice so many time to make tea for the guests. So I want to share some of my thoughts on why we need tea. Tea is a form of art. The way you present your tea table shows who you are, what your taste is like, what your personality is. 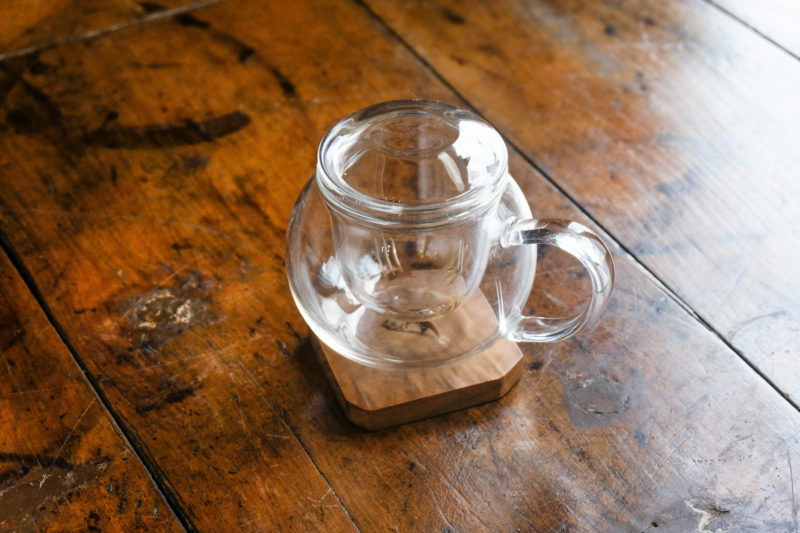 Some people prefer simple style, some people pursuit expensive tea wares. Some people like bright colours, some people just darker colours. There isn’t right or wrong. But you will find some settings are easy to use, some are not. So the way we present the tea table should make tea making easy and fluent. You need to carefully pick the right theme for the tea, for people, and for the surrounding atmosphere. It needs a lot of effort. But the good thing is the more you practice, the better you will be. 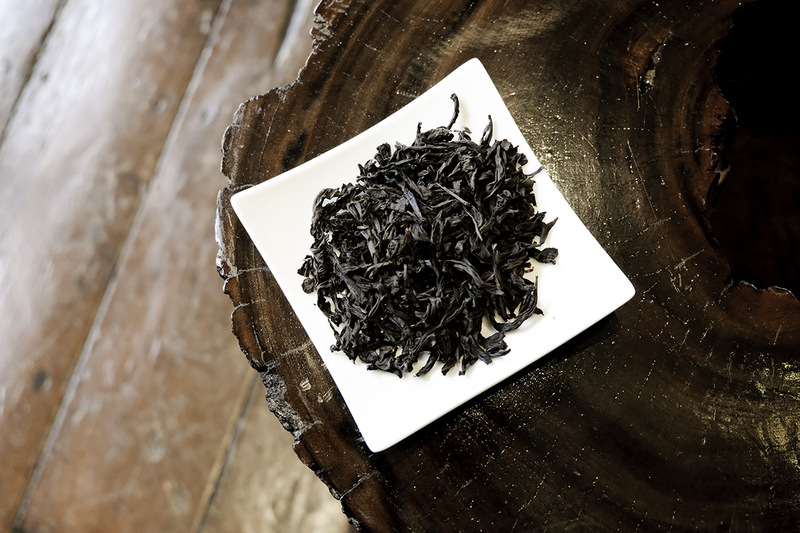 Of course, Chinese tea culture has such a long history, it’s deeply rooted in Chinese philosophy. 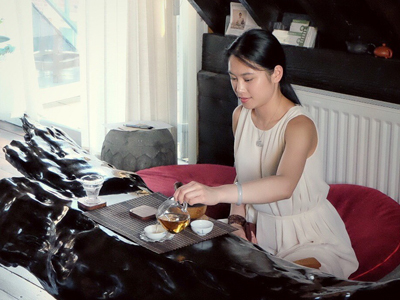 When we drink tea, we also experience the culture and philosophy behind it. 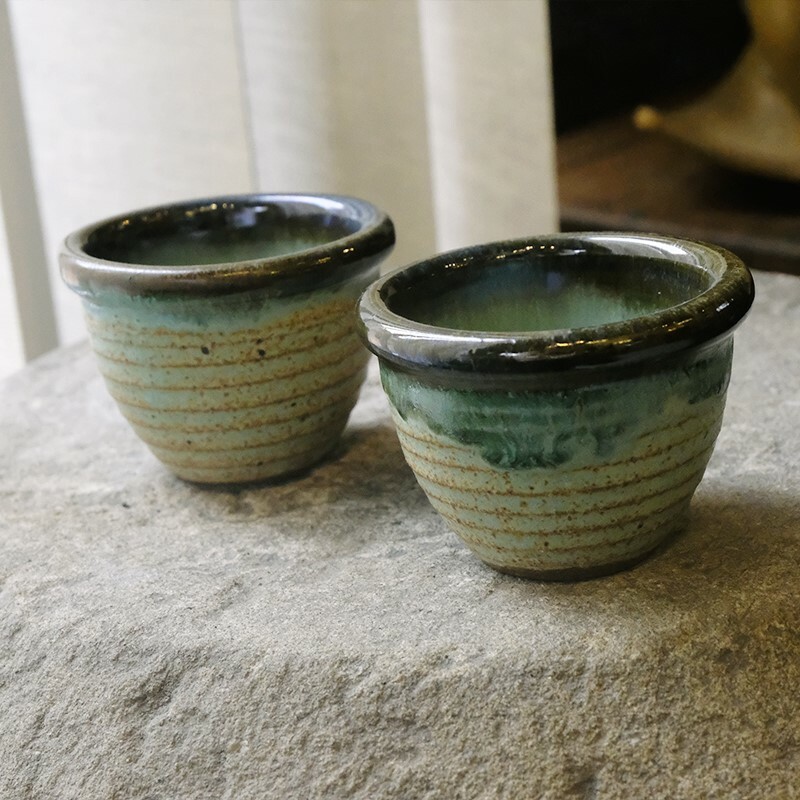 For example, we use a fair mug to serve our guests equally; or we don’t cross our arms around the tea table to show our respect to everyone; or we only make tea cups 80% full so that our guests can pick the cups up easily. There are a lot more small details. Chinese tea is a great combination of Confucianism, Buddhism and Daoism. Probably the ritual of tea is more about Confucianism. 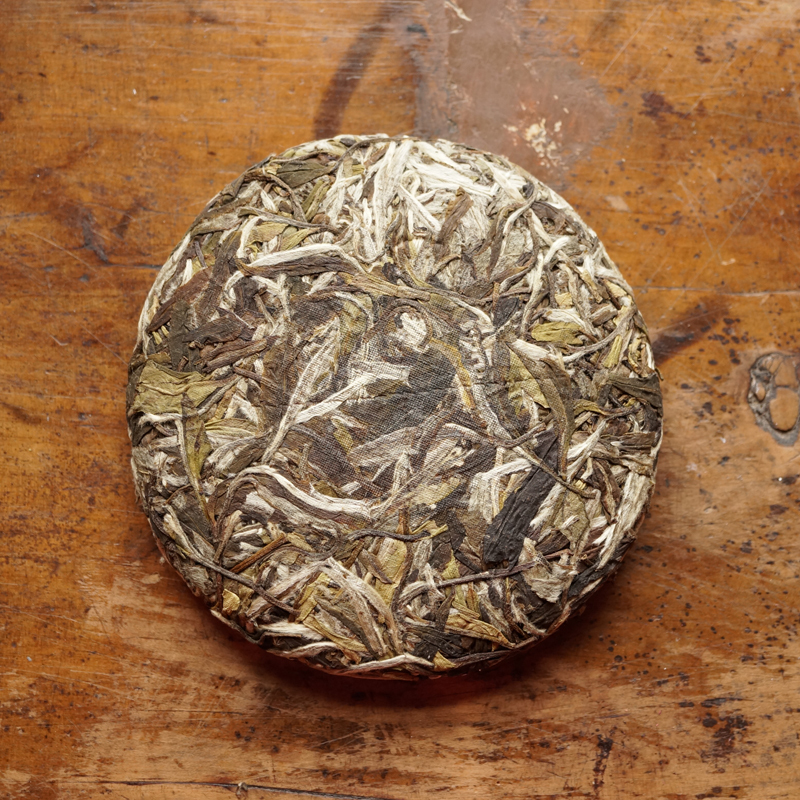 But we will quickly dive into the philosophy of Chinese tea. Daoism is romantic. Our Chinese ancestors have definitely been influenced by the beauty of it. The tea culture is exquisite. It’s also piquant. A little bit of wood branch to decorate the table. 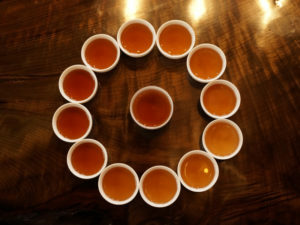 Serving tea with both left and right hands to keep the Yin and Yang balanced. Seeking for different streams to make tea in the mountains with the right water…We enjoy tea and get back to the nature mother. Certainly, Buddhism has also influenced our tea culture. 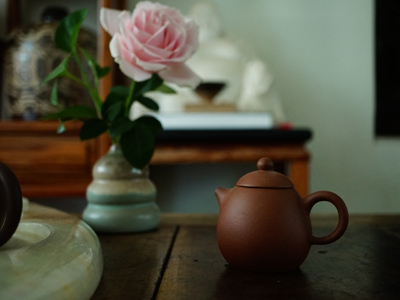 The quietness it needs, the mindfulness you can experience when we enjoy tea and the ceremonial nature of tea culture and a lot more are from Buddhism. When I have tea by myself, I feel the world is quiet for me at this moment. I make friends with tea and chat with it. It feels like a release for me from the daily life. It’s also a good way to know myself better and love myself more. When I make tea for other people, I feel I am building a strong bond with people I serve. I can feel their appreciation, their joy and their peace. Yes, tea is very healthy when you brew it in the right way. But if we miss the spiritual side of tea, that is a loss for us. Why not join me for a cup of tea in a Chinese way, forgetting the healthy benefits of tea, just for a peaceful moment? I love tea. I used to drink a lot, almost jumping into a huge tea pot and staying there forever. I thought this was me loving tea very much. Yes, I did love tea very much. But not myself. I ended up with terribly hunger, feeling sick and miserable. This is the opposite of the joy of tea. Nothing but damaging myself. It sounds silly of my story with tea. But I guess happiness is more important than curiosity in terms of having tea. Have you ever felt when you have less tea, you would want more; but if you save it for another time, you would enjoy it more. I have. This is possibly why I don’t have too much now. Or if you enjoy it with other people, you will double, triple the joy. We need to be satisfied by the present, by what we have and by the people around us. If you drink alone, don’t have too much; if you can share with other people, don’t be mean. Generosity and satisfactory create happiness. reasons. But today, I think I kinda know why. Windows open an imaginable dream for us. A window can the medium of the inside and outside, the new and the old, the real and the unreal. It can be a very special diversion which creates some sort of illusion between the reality and the dream. When we focus on the inside, the outside becomes blurry, vise versa. So here we have the question: what’s the real, and what’s the unreal? Do we have a solid answer? No. Because life is a dream. We are all living in this huge dream. Do we need to wake up? Yes, when the time comes. But before that, let’s enjoy it, no matter if it’s happy or sad, sweet or bitter, like tea. Are you inside of the tea you are having, or is it inside of you? Haha, forget about it, and have a cup of tea.